Videogames often head into uncharted territory, but many classics draw on traditional fare – and add a simple twist. For example, Tetris asks what would happen in a game of tetrominoes if the box you placed the pieces into was never-ending. Artist and games creator Zach Gage has spent his recent years fashioning games along these lines. His output has the kind of immediacy and familiarity that ensures even people who don’t consider themselves gamers will find plenty to enjoy. But also if you’re a veteran of chess, solitaire, or word games, Zach’s new spins provide refreshing, intriguing experiences. Zach told us that when you make creative work for someone else, they’ll provide a list of goals and constraints, but when making your own art, you must “build that box yourself”. And although we often associate inspiration with brilliant new ideas, it’s often about “negative space – defining rules and constraints that lead to a brilliant new idea”. Traditional games are something Zach finds especially interesting: “Their constraints are weird. You’re dealing with specific materials, the kinds of games they can represent, but also the history of those games, the culture of players, and expectations of play styles. To make a really great new solitaire or pool game, I have to build something true to the ambitions of the genre, and that respects them, but also twists them into something new”. Often, he says the root of this twist comes from something that feels ‘wrong’ in some way. For example, with solitaire games, he wanted something that would fit on a phone rather than sprawling across a table. For Pocket Run Pool, he desired a game absent of AI, because computer opponents are either too perfect or go too easy on you. And his word games draw on tradition but “physically explore the strange space of language”. In short, it’s about “seeing something in the world I wish had a slightly different shape, and changing its shape so I discover something new”. This concept aligns with iPhone, and Zach takes things further by specifically considering the iPhone’s form. “Apple’s device brought new context to videogame design, in obvious ways – the touchscreen – but also less obvious ones, such as how you might play for only 30 seconds,” he says. 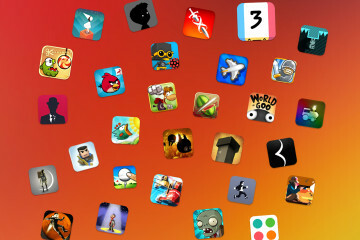 “It’s taken games creators a decade to acclimate to what this means, but now we have entire phone-specific genres and input methods.” And this is showcased in Zach’s games, which echo classic forms, and yet are ideally suited to on-the-go one-thumb gaming, giving you fresh takes on tabletop – and even table-sized – games in the palm of your hand. This selection of Zach Gage’s games will give you pocket-friendly (and wallet-friendly) mobile takes on pool, chess, solitaire, crosswords, and word searches. This solo take on pool transforms potting balls into a high-score chaser. Tactics primarily surround the score multipliers on each pocket – hit the 12 ball into the x8 pocket, and you net a cool 96 points. The multipliers change position every shot, and you can only scratch or miss three times before your game’s over. The result is a tense slice of arcade action that’s recognizably pool, but also something a bit different. Although this oddly named effort gives you the familiar chess board and pieces, the quantity and variation of the pieces you get are somewhat randomized. This forces you to rethink your game – and provides an interesting entry point for newcomers. The clever bit is the computer opponent’s abilities never change – but its pieces do. Win more games and your starting pieces get worse while the computer’s get better, until you’re using rows of pawns to battle bishops and queens. Spider solitaire has you build sequences of cards by rank and suit, which can be moved as one. Usually, you get ten stacks, but Zach’s game only gives you five so it fits on an iPhone. But here you can build sequences up and down multiple times on a single stack. This rule change and unlimited undos transforms Flipflop into a strategic puzzler – almost every hand can be beaten, but only if you crack the right sequence. This word game mixes up anagrams, word searches, and crosswords. You get columns of letters that you move up and down. When a complete word is created in the central row, its tiles change color. Puzzles are completed when all tiles are colored – or, in the clue-based games, when you create a word and match it to a clue. 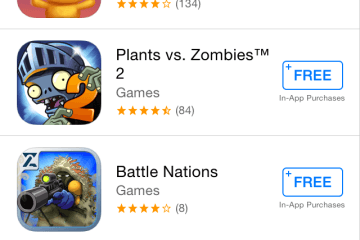 Again, the game feels familiar, but its tactile, animated nature is a modern, fresh fit for iPhone. The Tower mode of SpellTower begins as a word search, only you can tap out snake-like matches that zig-zag across the screen. When a word’s submitted, its letters vanish, and gravity makes those above fall. Adding moving parts to the traditional set-up forces you to strategize regarding future moves – and that’s even more the case on encountering modes with timers, and minimum word length demands stamped on random tiles. Other creatives have also experimented with traditional games, reworking them for mobile. Here are our favorites, including a game of chess where you can’t move, pinball as a painting game, and a classic bar game rather brilliantly turned into an online racer. Imagine shove ha’penny (small-scale shuffleboard with coins), but rather than smacking a coin across a table, you’re flicking a disc around race tracks suspended in mid-air. That’s Disc Drivin’ 2, which pits you against online opponents in a turn-based racer that makes no sense on paper, but that’s tense and exciting – not least when you’re one move from the finish line and just have to nail that perfect shot. This chess game resembles the puzzles you see in newspapers, having you aim to checkmate the black king with all your skill and cunning. However, you also can’t move your pieces. Instead, you have a limited number of action points to transform existing pieces into something that’ll trap and defeat your opponent. It’s great stuff for chess and puzzle fans alike. $4/£4 •v1.1.13 • 181 MB • By Righteous Hammer Games Inc. In Solitairica, you clear cards if they have a value one higher or lower than the preceding one. But in this game’s fantasy world, removed cards also award energy. Energies can form spells to fight opponents, whose own moves delete your life force or do strange things to your cards. It’s a clever mix of solitaire and role-playing, with characters you can upgrade over time. This game’s boards resemble simplified crosswords, but the letters are all mixed up. If you could just drag them around, you’d make a complete puzzle in no time – but you can’t. Instead, you tap letters and are shown which others they can be swapped with. Figuring out the route to a finished puzzle can be surprisingly tricky, often forcing you to think of different words. This one echos Boggle, in that you try to fashion long words from a jumble of letters. But submitted letters are colored in – and those surrounded by your color get a darker shade. The latter cannot be ‘flipped’ by your opponent during their go – important, since the aim is to take over the board. Letterpress is therefore really Boggle meets Risk – an intriguing, compelling combination. There are loads of hidden object games for iPhone, but Hidden Folks looks more traditional than most. Its hand-drawn scenes are akin to illustrated books, where you try to find tiny figures among the chaos. Where Hidden Folks most shines is in its sense of playfulness. Scenes are interactive and animated, with smart clues, and plenty of surprises to discover. Like pool, pinball is a traditional bar game that rarely translates well to iPhone. But INKS. is tailor-made for mobile play, stripping things back to minimal, simple tables that have you aim for colored targets. When hit, these splatter paint across the table’s ‘canvas’. It’s engaging and meditative for the casual gamer, and an interesting twist for pinball fans who crave each table’s top prize for using the fewest shots.